Just one year after an all-new model debuted, a tepid welcome has spurred Chevrolet to again update the Malibu midsize sedan for 2014. The changes aim to make a good car score higher points as it competes with exceptional sedans like the Honda Accord and Ford Fusion. Chevy Malibu, amazing for road trips. I love my Chevy Malibu! It is extremely comfortable and nice to drive. The seats are not uncomfortable to sit in for any extended amount of time. Driving the Malibu is very comfortable and easy. It gets amazing gas mileage for long trips it makes spending money on gas a much easier expense to handle. The Malibu is very roomy as well. It has lots of room in the trunk to carry anything you need. It is also extremely comfortable for passengers in the backseat. There is a lot of legroom to make you comfortable. My Chevy Malibu has great speakers as well. It makes listening to music fun and a great experience. The Chevrolet Malibu is a very stylish car as well. It looks modern and expensive but it is actually quite the opposite of that. It was a very affordable car to purchase. Cruise control is extremely easy to use in the Chevrolet Malibu. It makes driving long-distance is a lot easier and more comfortable as well. I feel very safe in my Chevrolet Malibu. The seatbelts function well the backseat is also a great place to buckle and your children and feel safe doing so. The cupholders are also a great addition to the car. Having many cup holders around is important when driving around passengers especially having them in the back. Cloth seats inside of the Chevrolet Malibu are easy to keep clean and look great as well. Overall it is an amazing car and I hope to have it for many years to come. Great starter car that is spacious and great on gas. This is a great car. Rides smooth, pretty fast, and great on gas. Nice size great starter car. The only thing I dislike is that it didn't have touch screen or navigation. Other then that I love my car. Roomy trunk space. The driver seat has a lot of different adjusting that will suit any driver big or small. It also comes with manual drive option even though it is mainly an automatic car. I never used that function though. It does has Bluetooth as an option to link your phone so that you can talk and drive. However you could not listen to music through it. You would have to use an aid cord. Another thing I didn't like. It come with everything power; windows locks. However the passenger seat was manual to move forward and back. Headrest was pretty comfy even though I am short I never really use it. The body and build is great. Auto light feature also it has the option of everything on the meter board. Where u can see how many miles you have till you would have to get gas. It lets you know if you are low on oil. Also it is pretty great at alerting you even when it is a slight engine problem. The pros and cons of my Malibu. I love the size and color most of all. I do a lot of gardening, and the trunk of my car can hold 4 bags of mulch or six bags of garden soil, along with ten 3 gallon containers of flowers. I also keep a container in the trunk with emergency clothes and rain gear. The back seat lets down to carry large items. I like that there are cup holders in the front and back seats. I love the backup camera. What I do not like is that the car is a magnet for accidents. The windshield was cracked by a rock before the dealer tags were removed. A teenager on the phone changed lanes without looking and hit my back door, before the dealer tags were moved. Then a lady decided she need to stop at the back on the far right side of the street, so she changed lanes from the far left side and ran into my back door. The car has a smooth ride, and it doesn't let a lot of noise in when the windows are up. I get 28 miles to the gallon inside the city, and 32 on the highway. General Motors LLC (GM) is recalling certain model year 2014 Chevrolet Malibu vehicles manufactured June 12, 2013, through November 5, 2013. The heating, ventilation, and air conditioning (HVAC) control in these vehicles may intermittently become inoperable when the vehicle is started, preventing the windshield defroster from working. Thus, these vehicles fail to conform to the requirements of Federal Motor Vehicle Safety Standard (FMVSS) No. 103, "Windshield Defrosting and Defogging Systems." The inability to turn on the windshield defroster may decrease the driver's visibility thereby increasing the risk of a crash. GM will notify owners, and dealers will update the electronic climate control module software, free of charge. The recall began during December 2013. Owners may contact GM at 1-800-521-7300. GM's recall campaign number is 13380. General Motors LLC (GM) is recalling certain model year 2014 Buick Lacrosse vehicles manufactured January 29, 2014, through March 31, 2014 and 2014 Chevrolet Malibu vehicles manufactured February 7, 2014, through March 31, 2014, and equipped with 17 inch front brake rotors. The affected vehicles may have had brake rotors intended for the rear of the car accidentally installed on the front. The rear rotors, while the same diameter, are thinner and may result in a front brake pad detaching from the caliper. If a brake pad detaches from caliper, there may be a sudden reduction in braking, lengthening the distance required to stop the vehicle and increasing the risk of a crash. GM will notify owners, and dealers will inspect the front brake rotors, and install the correct rotors with new brake pads, as necessary, free of charge. The recall is expected to begin around May 29, 2014. Owners may contact General Motors customer service at 1-800-521-7300 (Buick) or 1-800-222-1020 (Chevrolet). GM's number for this recall is 14128. GM will notify owners, and dealers will update the Body Control Module (BCM) software to remove auto-close feature for certain switch positions, free of charge. The manufacturer has not yet provided a notification schedule. Owners may contact Chevrolet customer service at 1-800-222-1020. GM's number for this recall is 15176. 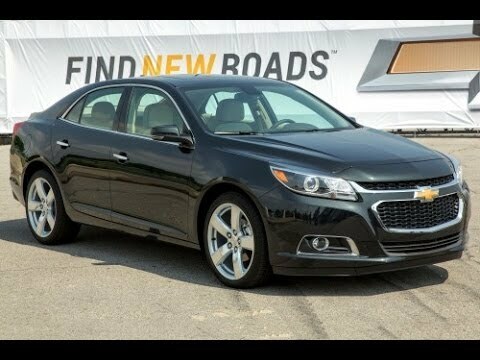 General Motors LLC (GM) is recalling certain model year 2014 Chevrolet Malibu vehicles manufactured June 12, 2013, through May 2, 2014, and equipped with a 2.5L engine with the auto stop/start option. The affected vehicles may experience a complete loss of brake vacuum assist, disabling the hydraulic boost assist. As such, these vehicles do not comply with Federal Motor Vehicle Safety Standard (FMVSS) number 135, "Light Vehicle Brake Systems." If the hydraulic boost assist is disabled, slowing or stopping the vehicle will require additional brake pedal effort and a lengthened stopping distance. Both of these effects increase the risk of a crash. GM will notify owners, and dealers will update the electronic brake control module software, free of charge. The recall is expected to begin around May 30, 2014. Owners may contact General Motors customer service at 1-800-222-1020. General Motors number for this recall is 14201.